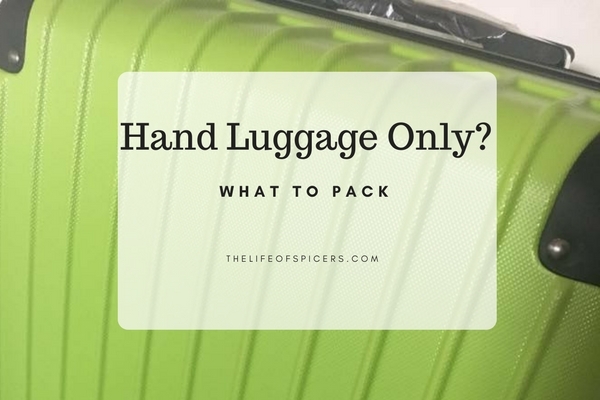 When we booked our girls weekend away to Mallorca earlier this year, we all decided we could get away with taking just hand luggage to avoid the high costs of hold luggage on a budget airline. I’m not someone who needs to take lots of different items of clothing, however I do tend to overpack and knew I would need to really think about what to pack if I was taking hand luggage only. I had been researching the weather for a few weeks prior to the holiday, adding that to the time of year we travelled (May), I was hoping we would be able to guarantee some heat, so I knew I didn’t have to worry about taking bulky clothes. To make sure I had warm clothes if needed, I made my travel clothes a thick hoodie and jeans, This meant I was nice and warm in the UK on our very early morning flight, and also when we left for our very early flight back home. I was grateful of that hoodie when we landed back in the UK. In hindsight I had actually overpacked as I thought I might. But everything fit nicely into my suitcase and I think I could have probably squeezed more in if I needed to. I found the beach towel took up a lot of the room, but by rolling it, I saved space in my case. My toiletries were syphoned off into travel sized bottles. We had toyed with the idea of buying once we arrived and sharing, but when everyone uses a different brand for varying reasons it was easier to just pack my own. It was also cheaper to buy the travel bottles than it would have been to buy everything on holiday. They will always come in handy for future holidays. Any excuse! 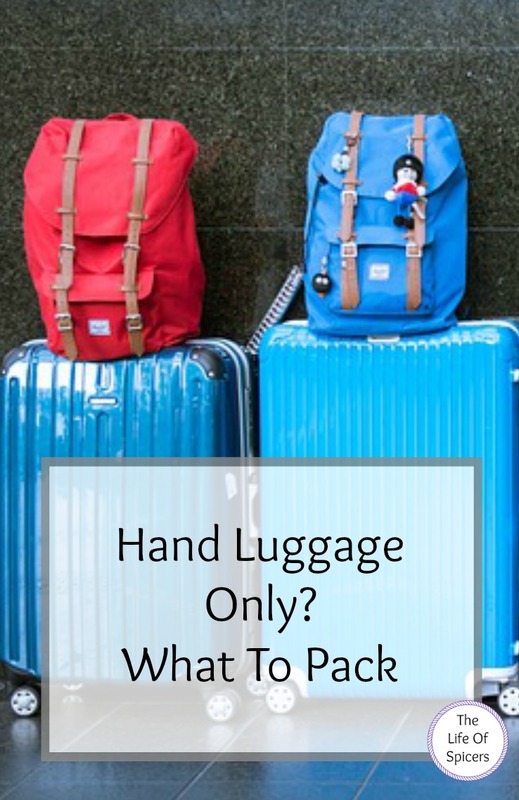 Do you pack hand luggage only when going away? If you are travelling with a budget airline and need the perfect sized suitcase to avoid extra charges, you should check out this suitcase.